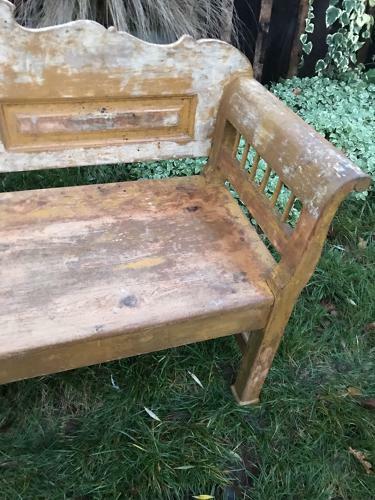 Fasbulous 19th cent Gustavian Bench seat with lovely original worn paint in ochre and cream colours. Lovely patination. Sleigh arms. Would look great against a Farrow & Ball wall painted in Railings or dark blue etc.